Yerba Mate is not a part of the standard Camellia Sinensis plant but from a holly plant called the Ilex Paraguariensis plant that is indigenous to South America. Yerba Mate comes in two versions – Green (non roasted) Yerba Mate or Dark (Roasted) Yerba Mate, both coming from the same plant but different types of processing. 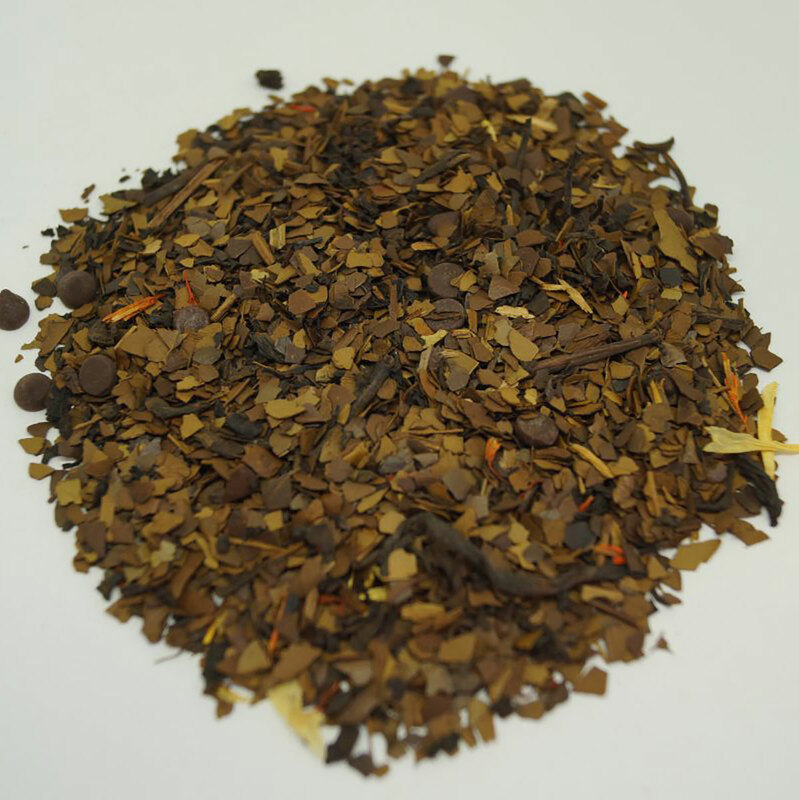 Our Roasted Yerba Mate is a medicinal herb that share many common health attributes to the tea plant. Plus it has a dark and rich flavor that is similar to coffee. For many coffee lovers this is a great tea to transition to without all the stomach and caffeine concerns. 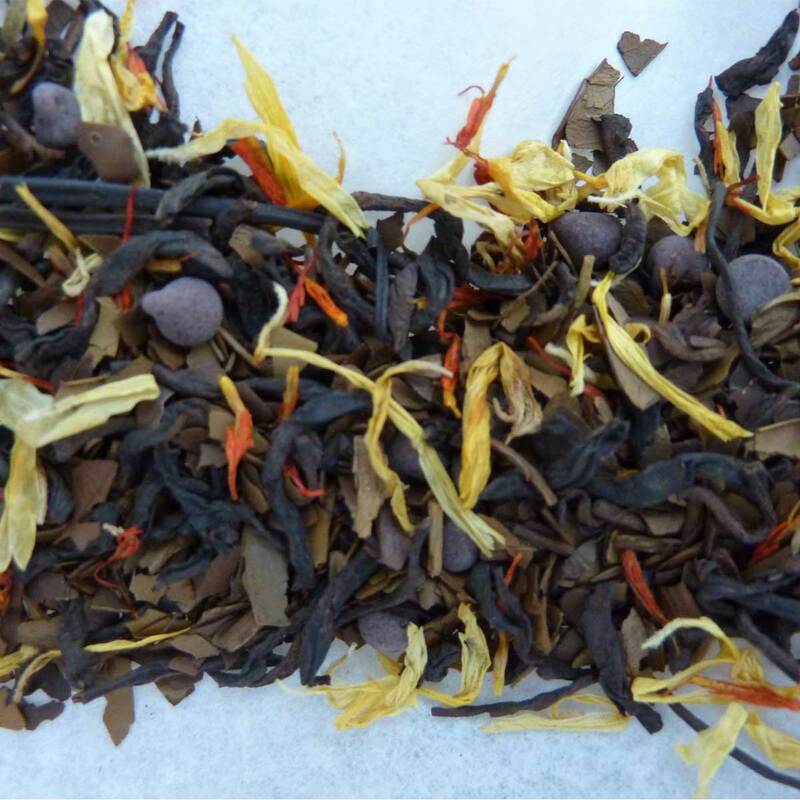 In this blend we combined the Carnival (caramel) Yerba Mate, Mate Heaven (chocolate) Yerba Mate and our Aged and Fermented Black Teas of Milky Way (chocolate) Puerh. It is such a feel good combo of mate and the probiotic effect of puerh. Ingredients: Organic and Wildcrafted Roasted Yerba Mate from Uruguay. Alternatively, try our Milky Way Puerh or Chai 2 Mocha U Chai.